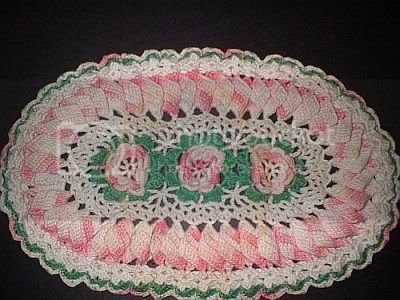 I was hoping someone on here would know of a round tablecloth pattern that does not use pineapples. I've searched high and low and what I mostly find are the motif patterns. Any help would be much appreciated!! LOL So did I...it was rust colored. I know my mother didn't sew it though...it reminds me of the old Polly Flinders dresses...does anyone remember them? 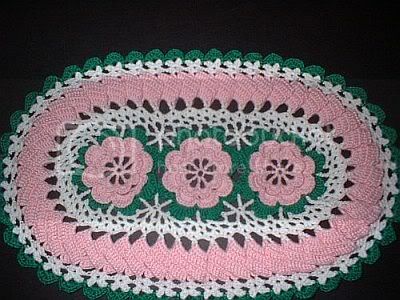 This is a doily that my Mother was given by her grandmother many moons ago lol. I borrowed it and wrote a pattern for it as I recreated it. Let me know what you think.